On the 1st of August, VPBG Advogados announced five new partners in one fell swoop. 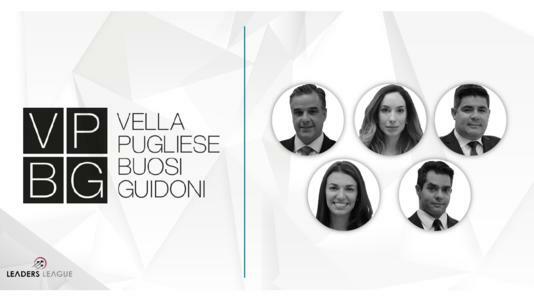 On the 1st of August, Vella, Pugliese, Buosi e Guidoni – VPBG Advogados made headlines by announcing the promotion of five lawyers to partner level in one fell swoop. The new partners are André Luiz Ferreira Alves (Labour), André Ricardo Lemes (Tax), Bruna Gobbi (Corporate), Daniel Lopes Coelho (Real Estate) and Patricia Helena Barbosa de Souza (Intellectual Property & Technology). All will be based out of the firm’s São Paulo office. New labour partner André Luiz Ferreira Alves holds a Bachelor of Laws from Universidade Presbiteriana Mackenzie as well as a specialization degree and an LL.M. in Labour Law from Universidade de São Paulo (USP). Mr. Ferreira Alves has over 10 years of experience advising national and international companies on labour issues, having previously worked at such renowned firms as Demarest e Almeida Advogados, Felsberg Advogados and Souza, Cescon, Barrieu e Flesch Advogados before joining Vella Pugliese in 2013, where he worked for five years before being promoted. André Ricardo Lemes has accrued over 20 years of experience in tax advisory and litigation matters. Mr. Lemes formerly served as a member of the Administrative Council of Tax Appeals (CARF) and as a tax lawyer at Banco Itaú. In 2009, he joined Vella Pugliese and recently became a partner after almost 10 years of service. He undertook his undergraduate legal studies at Faculdade de Direito - São Bernardo do Campo and a Master of Laws at Pontifícia Universidade Católica de São Paulo (PUC-SP). New corporate partner Bruna Gobbi earned a Bachelor of Laws from Universidade Federal do Espírito Santo as well as an LL.M. from the London School of Economics. Ms. Gobbi began her career at Thompson & Knight LLP, later practicing at Mayer Brown and Lobo de Rizzo Advogados before finally joining Vella Pugliese in 2012, where she has been for over seven years. She focuses her practice on corporate law especially strategic M&A deals and private equity investments. Daniel Lopes Coelho has over two decades of experience in the legal market and specializes in real estate matters especially acquisitions, sales, developments, joint ventures and foreign investment in rural areas. Mr. Coelho holds a Bachelor of Laws from USP, a specialization degree in Real Estate Development from Fundação Armando Alvares Penteado (FAAP) and a Master of Laws in Banking, Corporate, Finance and Securities Law from Instituto de Ensino e Pesquisa (INSPER). New intellectual property and technology partner Patricia Helena Barbosa de Souza holds a Bachelor of Laws from Mackenzie, a specialization degree in Intellectual Property from Fundação Getulio Vargas (FGV) and an LL.M. in Intellectual Property and Information Technology from ESADE. Ms. Barbosa spent over four years at Pinheiro Neto Advogados before joining current firm Vella Pugliese in 2007, where she has been assisting domestic and foreign players with complex IP and telecommunications issues for the last 11 years. Vella, Pugliese, Buosi e Guidoni Advogados is a São Paulo-based full-service firm counting on over 170 professionals. Its strategic alliance with Dentons, the world’s largest law firm with approximately 9,000 professionals in 77 countries, ensures Vella Pugliese has a strong international outlook which both its domestic and foreign clientele can benefit from.